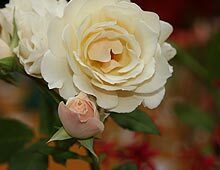 Rose Plants or Bushes, Standard Roses and Climbing roses are readily available for sale and can be purchased online by mail order in all states. The best time to buy mail order roses is during the winter months when bushes are dormant. 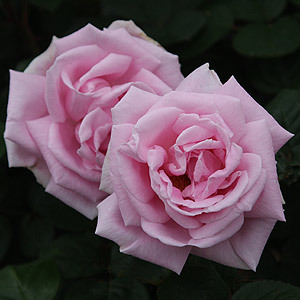 Rose Bushes are dispatched as bare root plants and should be planted immediately on arrival. You can also buy potted roses year round, many gardeners like to start a collection, by looking at the 'real thing' and this works well. 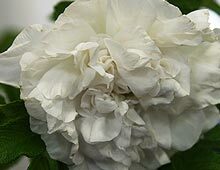 However for the widest selection of both old and new roses, and often the best price, buying online from specialist nurseries and growers is easy and convenient. 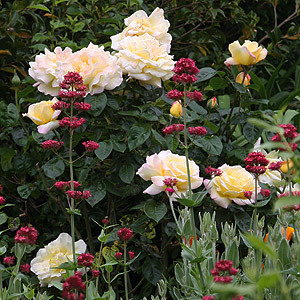 Late winter to spring is an excellent time to start selecting a rose bush for planting, and although you will have your favorites, what other factors do you need to consider. Look for roses that will suit your climate, some are more disease resistant and drought tolerant than others. The choice is either bare root plants or containerized (potted) roses. With potted plants check the root system, some may have roots that are beginning to circle the pot, others may have poor root systems, avoid them both. Roots that are circling the container will tend to keep doing that when planted, a poor root system will be the result. Look for any signs of disease, black spot, mildew aphids and anything else, avoid roses with these problems. Amend the soil if required before planting, dig in lots of well rotted compost, and make sure that the soil is well drained. New rose bushes should be staked to prevent wind damage and maintain an upright growth habit. Remember that most plants for sale are usually sent by mail as bare rooted plants. Soil is removed and the roots of the rose bush are wrapped in a moisture retentive material. Rose Bushes for sale by mail should be unpacked and planted as soon as they arrive. All plants for sale by mail should be in excellent condition when they arrive if properly packed. Lots of sun and good air circulation. A soil rich in humus, moist but well drained. Mulch around roses to retain moisture. 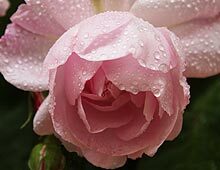 To be watered in well when establishing, but remember, once established rose bushes are reasonably drought tolerant. Full line of fruit, Apricots, Berries, Cherries, Nectarines, Pears, Grapes, Nuts, shade and flowering trees, shrubs roses and small fruits. Mail Order disease resistant Miniature and Miniflora Roses. Weeks, Austin English, Old Garden Heirloom. Climbing Roses, David Austin English Roses, Floribunda Roses, Griffith Buck Roses, Ground cover roses. Includes: Climbing Iceberg, Ispahan, Peace and many others. Miniature garden roses year round for the garden or containers. Specially hybridized with hybrid-tea form, vivid colors, and fragrance.